This is the exact same gun we use at the Ministry. 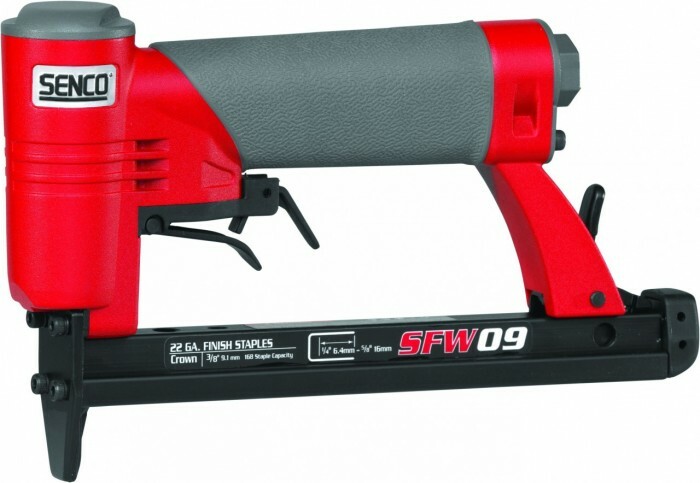 Compact and durable, the SFW09 fine-wire stapler will handle any upholstery task with ease. 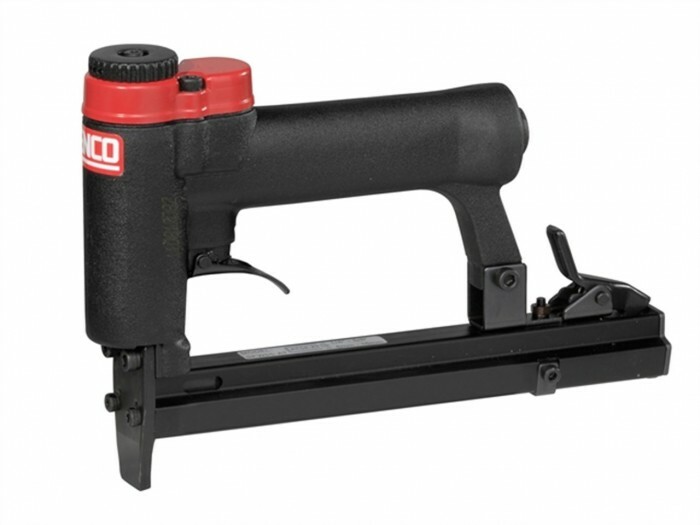 With all-metal construction and a smooth profile, this tool works all day, everyday and won’t snag or scuff fabric. If you want a more affordable staple gun with your kit then click here.